The 2019 Asbury Park Music & Film Festival happens April 25 – 28. They’re still announcing events, but this year’s music lineup includes Yo La Tengo with an extremely rare performances by Feelies-offshoot Yung Wu (percussionist Dave Weckerman singing with the rest of the band backing him) on April 26 at The Stone Pony. Tickets are on presale now and go on sale to the general public on Friday, March 15 at 10 AM. Hot Water Music ‘s 25th anniversary tour is also part of it, playing House of Independents on April 27 & 28 where they’ll perform theri albums No Division (4/27) and Caution (4/28) in full, with Iron Chic and Crime in Stereo also on the bill each night (tickets). There are also shows with Gary U.S. Bonds, Jake Miller, Bobby Bandiera, a jazz tribute to Phish, and more. On the film side, There is the New Jersey premiere of Echo in the Canyon, which is about the Laurel Canyon music scene, which happens April 25 at The Paramount Theatre. There’s a post-screening Q&A with director Andrew Slater, and performances by Jakob Dylan, Cat Power and Jade of Edward Sharpe & The Magnetic Zeros (who are interviewed in the film) and they’ll performing songs by Laurel Canyon icons The Byrds, Beach Boys, and The Mamas & The Papas. Tickets are on sale. 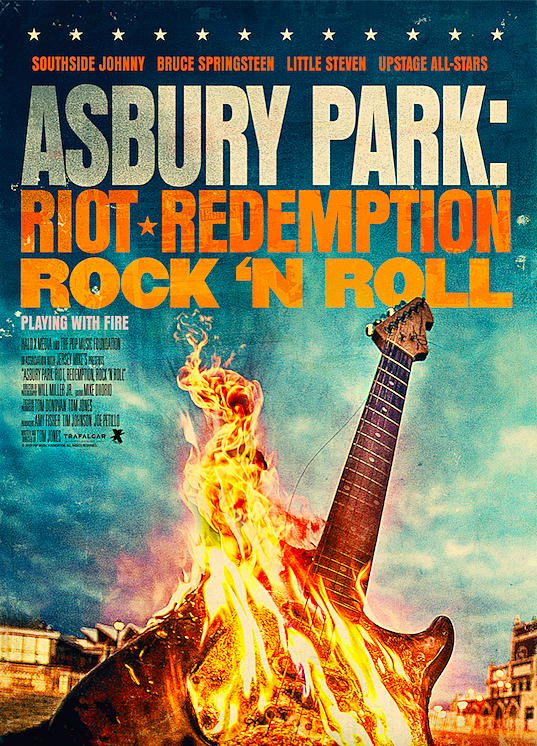 More films: Asbury Park: Riot, Redemption, Rock ‘n’ Roll, which is about the scene at legendary AP club Upstage and features interviews with Bruce Springsteen, Southside Johnny and more, screens at The Paramount Theatre on April 28 with a Q&A to follow with guests TBA (tickets); and David Crosby and producer Cameron Crowe will be on hand to present a screening of documentary David Cosby: Remember My Name at Paramount Theatre on April 27 with a Q&A to follow (tickets). Check out the full announced 2019 Asbury Park Music & Film Festival lineup here.